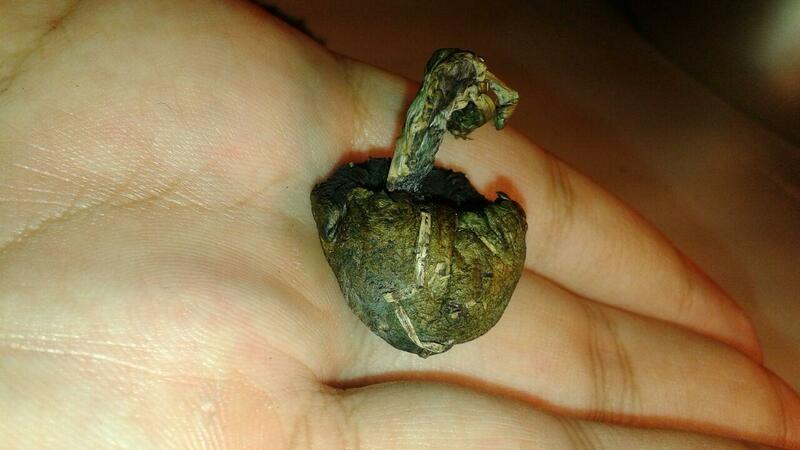 What kinda shroom is this, /rx/? Looks to by psilocybe due to the blue tinge, did you find it in cow poo? If you did, it is likely that is is psilocybe, most like psilocybe cubensis. However try going on to shroomery as they have experts, and I'm just a random guy on the Internet. dunno but it's definitely a psilo.